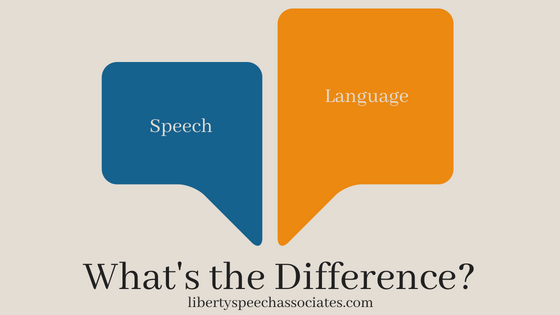 Speech and Language: What’s the Difference? Most people use the words speech and language interchangeably. However, in the field of speech-language pathology, these two terms are widely different. Speech refers to the actual act of speaking and producing sound. For example, a person’s accent and pronunciation of different sounds and words would be classified under the speech umbrella. Also under that umbrella are fluency and voice. Fluency is how fluidly a person speaks and if there are any stuttering episodes or pauses present. Voice refers to a person’s pitch, volume, rhythm, quality (e.g., hoarse), and resonance (e.g., nasal). All of these characteristics of speech can be used to convey language, but one doesn’t need speech to have language. There are two basic components of language – receptive and expressive. Receptive language refers to a person’s comprehension – ability to understand spoken words, written words, gestures, sign language, etc. Expressive language is a person’s ability to express his thoughts and feelings, using any mode of communication. Although many people use speech to express themselves, communication can occur in other ways too. For example, facial expressions, hand gestures, writing, and drawing are all components of expressive language. Speech and language difficulties can affect people of all ages and in different ways. For example, a toddler may be delayed in speaking, but understand words and instructions. A different toddler may be saying words and sentences, but have trouble correctly pronouncing those words. And yet another toddler may be talking and pronouncing words correctly, but may have trouble comprehending others. An older child may experience difficulties with reading and understanding classroom content. An older child may also have trouble telling an understandable and logical story. Some adults may have persistent speech and/or language difficulties that didn’t resolve or weren’t treated in childhood. Adults can also experience speech and/or language difficulties as a result of neurological diseases (e.g., Parkinson’s, Alzheimer’s) or stroke. Disclaimer: This post is just a general summary, but not an exhaustive list, of where speech and language breakdowns may occur for children and adults. 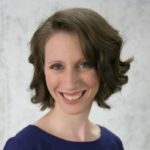 For more information about possible speech and language difficulties, check out the “Disorders” section of the Liberty Speech Associates website.